Jonny and Zack have once been described as peanut butter and chocolate. They have plenty of differences, but magic happens when they are mixed together. Jonny is a geek at heart but a rage machine on the surface. He enjoys everything comic book, altering his state of mind, and women. Zack is a tech guru with a slight spending addiction that lives and breathes technology, science, and cameras. Join them as they discuss common opposing subjects and pick apart their differences. They may not always agree, but that doesn't stop them from fleshing out the facts. From Batman & Superman to hard & soft tacos, no subject is off limits. Zack Berjawi is a creative director / media mogul who can work magic with a camera in his hand. He loves everything technology and might have an addiction to turning his home into a homekit enabled lair. In his late 20s, he spends his days working on film sets and photoshoots living his dream job. Zack will literally never be caught wearing pants (shorts FTW! ), even if it is -26 degrees outside in the frigid Canadian winter. Jonny Lahay is a single young man in his 20s. He enjoys getting into meaningless arguments and getting way too mad about it. He is passionate about everything comic book related, and has an immense love of self-discovery. He enjoys long drunken walks to nowhere and loves his food. He has once been described as the perfect gentleman by absolutely nobody. If you ever meet him, he probably looks angry but don't let that scare you off, he's probably about as harmless as the terrible things he does to his body. 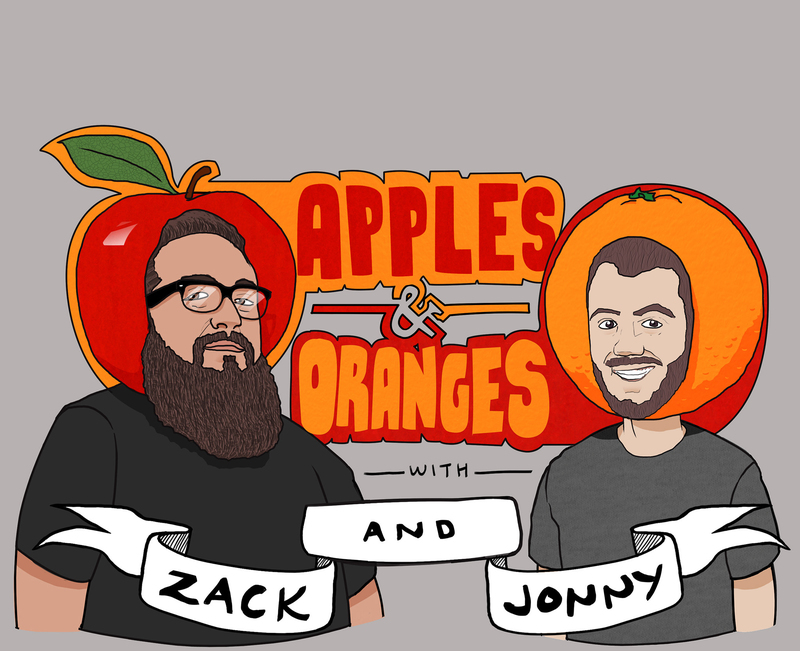 © 2016 Apples & Oranges Podcast.